Ferrari Black motorcycle jacket is a special gift for all bikers who want to speed up while at the same time maintaining their elegant looks. Your sophistication is just a click away. 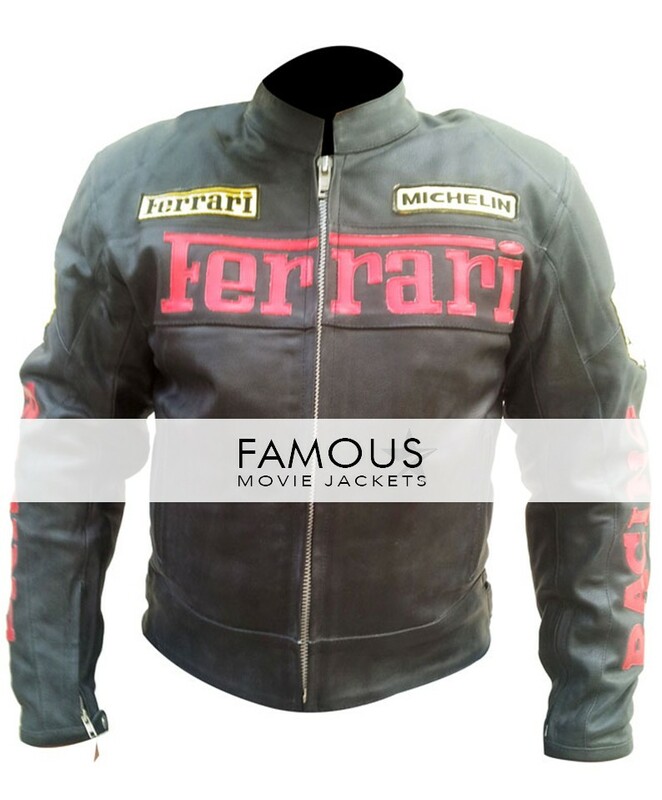 This Ferrari Black motorcycle racing jacket will take your to the next level of fashion. A refined recreation in black color with embroidered Ferrari patches. It is made of 100% pure leather material. The materials and structures are designed in such ways that it can provide you a safe ride. Inner viscose material is lined for your safety and solace. 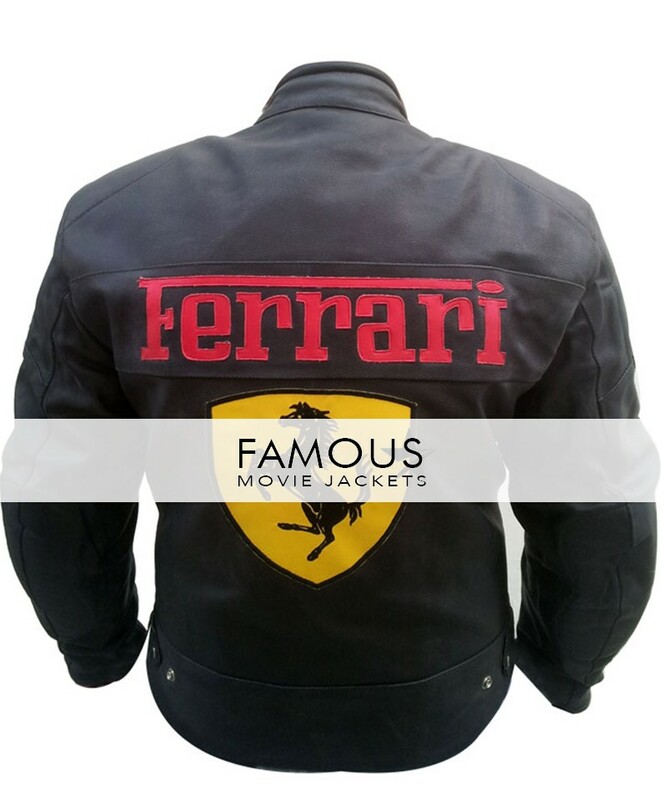 The embroidered back patches with the Ferrari logo and Ferrari graphics are the most alluring part of the jacket. The fashionable jacket really don’t need anything but a solid white tee and your favorite denim. Shop now, wear this elegant jacket and have a cozy ride.